Home > About > What is Manual Thinking? 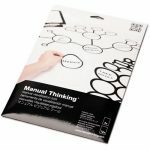 Manual Thinking is a toolset consisting of foldable maps and removable labels, which make it easy to share tasks of planning, idea creation and decision making. 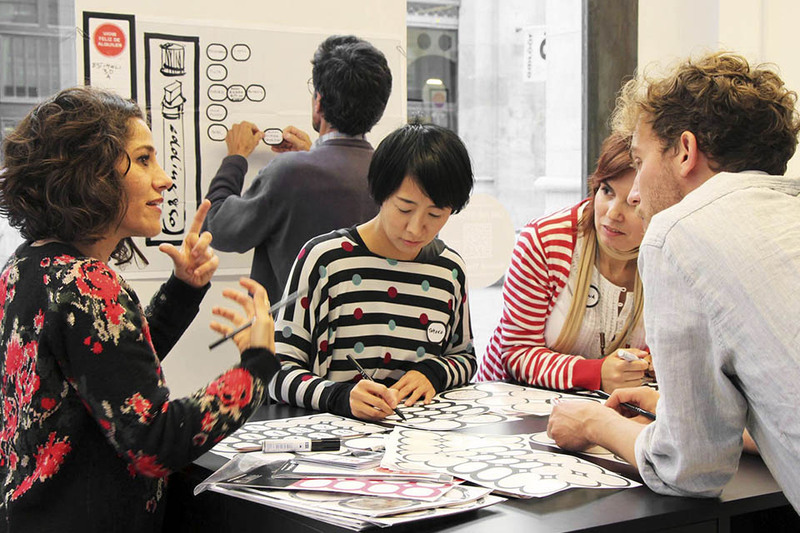 The different shapes and sizes of labels are used to gather thoughts and ideas of participants, which are arranged on the maps to create a visual document of the team´s thought process. Obtain team engagement & alignment. The participative approach of Manual Thinking assures the engagement and alignment of teams, making it an essential tool for conducting meetings and workshops. 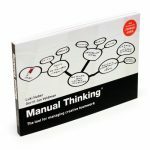 Manual Thinking is a universal tool which makes it easy to carry out all types of organization & creativity methods, such as Mindmapping, Brainwriting or Design Thinking, always guaranteeing a uniform, visual and tangible result. Add value to client interaction. The tools are practical to use, archive and retake, and its esthetical outputs add value to the realization of meetings and other shared tasks.